The world-famous New York City skyline looks picture perfect from our library terrace. 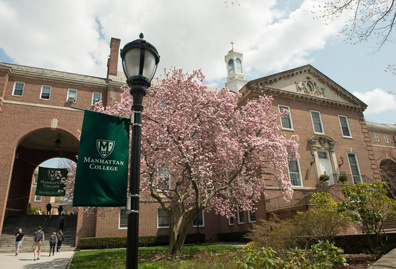 Manhattan College offers students the best of both worlds: a beautiful campus with a close-knit community and homey atmosphere, plus easy access to the most exciting city in the world — New York. 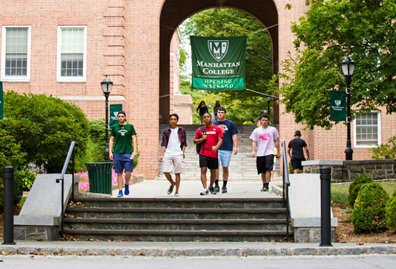 Many colleges and universities in this region boast about their proximity to New York City, but at Manhattan College we offer a truly unique location. We are within the boundaries of New York City and our campus is next door to a subway stop. But unlike many other New York City schools, we have a true college campus — 23 acres centered around a quad where our students play Frisbee, study under the sun and hang out with friends. Nestled in the historic neighborhood of Riverdale, our lovely campus in the Bronx is close to dozens of restaurants and shops, as well as Van Cortlandt Park, one of New York's largest parks. 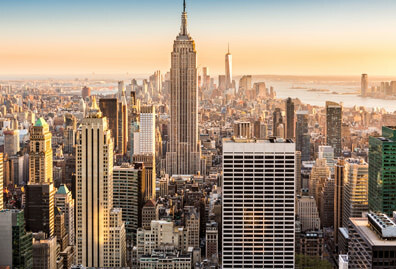 Best of all, we're only 35 minutes from midtown Manhattan. Our unbeatable location offers a unique and safe way to take advantage of all New York City has to offer. You'll get a true college campus experience while also having easy access to the jobs and internships found in New York City, plus all of the amazing cultural experiences found in this city. Watch this video to learn more about Manhattan College’s beautiful Riverdale location and some of the amenities and opportunities the neighborhood offers. So why is Manhattan College in the Bronx? Our campus was originally located in Manhattan at the intersection of 131st Street and Broadway. 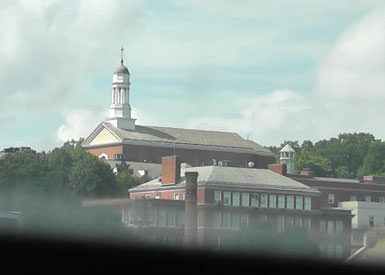 In 1923, Manhattan College moved to our present Riverdale location in order to accommodate a growing student body. 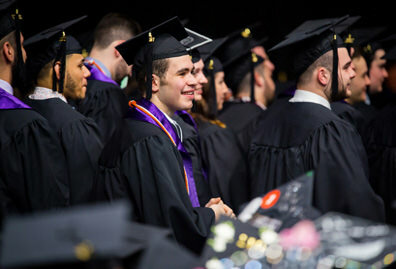 But with more than 60 years of history established as Manhattan College, the institution decided to retain the name despite the geographic misnomer. There's no place like NYC and our students take full advantage of all that this city has to offer. More than half of students do an internship with many of these leading to full-time employment after graduation. You'll have a distinct advantage when it comes to getting internships and jobs because of our access to New York City and the multitude of companies headquartered here. And many of our professors use New York City as a classroom with fields trips to sites such as Wall Street, the Museum of Natural History and the United Nations. 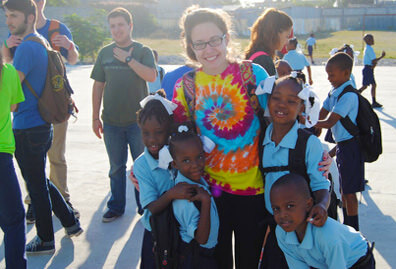 We also offer programs to help you have fun in the city! See a new site each week with Saturdays in the City, a weekly series of trips around NYC organized by the residence halls. Or join the SoNYC club to do fun things like a bike ride through Central Park or a dessert crawl through the East Village. 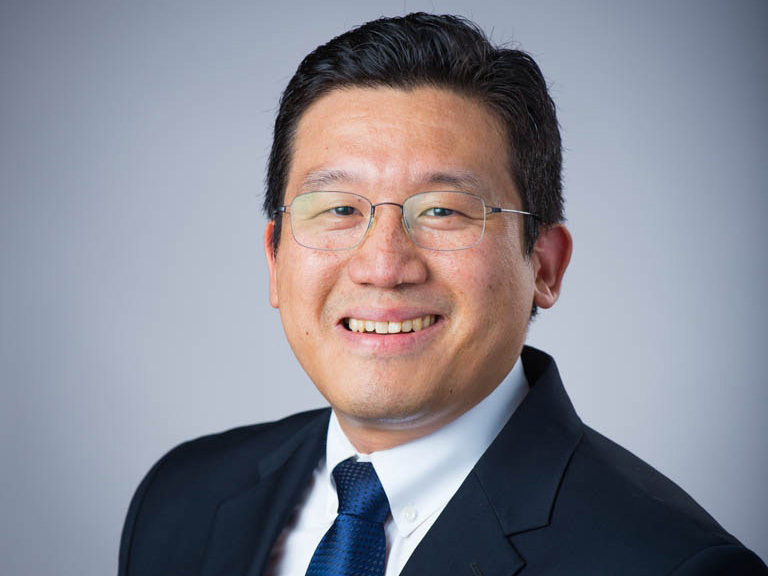 And our Office of Student Engagement routinely offers discounted tickets for Broadway shows, Yankees games and events at Madison Square Garden. Freshman students in the Arches program get to know the city by visiting iconic landmarks like the Brooklyn Bridge. Many classes take place off campus, offering interactive lessons for students, such as this biology field trip to the American Museum of Natural History. Our business students are encouraged to grab the bull by the horns through site visits to financial landmarks like Wall Street. No tour of New York City is complete without a view of the skyline from the Top of the Rock, just a short subway ride from Manhattan College. Play like the pros by joining Manhattan College’s intramural flag football league. Last year’s championship game took place under the lights at MetLife Stadium. Local experts work with our professors to offer insight into New York City neighborhoods that are off the beaten path, such as the South Bronx's Grand Concourse. Communication students get a glimpse into the industry by attending live tapings in the city, such as ﻿The Meredith Vieira Show﻿. Business students experience the thrill of the New York Stock Exchange with a special behind-the-scenes tour of the trading floor. 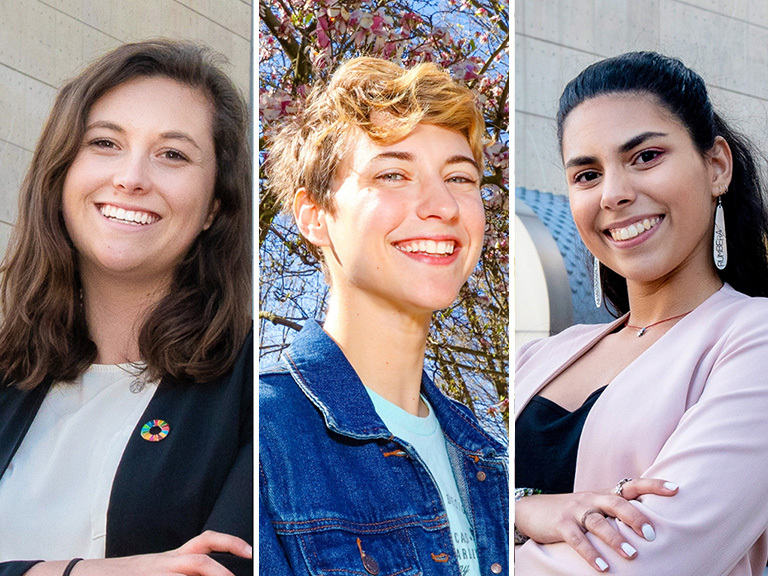 Manhattan’s award-winning Model United Nations program puts students in control of diplomatic simulations at the UN headquarters. Our connections to engineering alumni often result in opportunities to see new city infrastructure in progress, such as this field trip to the Second Avenue Subway. Sign up to receive information about applying to Manhattan College and how you can make NYC your classroom.